It was during the time when Spain was still partially Muslim, when Arab sovereigns still ruled certain provinces, despite the Christian Reconquista which had begun centuries earlier. King Peter the Cruel, or the Just, was staying in Seville when he learned that an Arab emirs, one of his own allies, was in possession of the largest, most beautiful ruby in the world. Envy took hold of the king. He would stop at nothing to have the ruby. He couldn’t sleep. He invited the emir to his palace, the Alcázar of Seville. The emir arrived with his entourage and was graciously received by the king. A magnificent banquet was held. At the end of the meal, the king gave the signal. Guards posted behind the doors flooded into the hall and ran their swords through the emir and his companions. King Peter approached the body of the dead emir who had once been his friend. He rummaged through the folds of cloth and found the ruby, suspended on a gold chain beneath the emirs djellaba. He stared at the ruby, contemplating the stone for which he had killed. He was overwhelmed. It truly was the most beautiful ruby in the world, and the largest too. The originality of the stone was the small inclusion of another ruby set in gold. The king had the bodies removed and the hall cleaned. He never let the ruby out of his sight. His reign, which provoked deep hatred among the countless victims and their families, was coming to an end. His half-brother, Henry of Trastámara, had risen against him. A civil war broke out. Henry was supported by the French and King Peter by the English. Crowned Prince Edward of England himself, eldest son of Edward III, came to fight by his side. He disembarked in Castille and led his English troops to victory against Henry of Trastámara. To thank him, King Peter offered Edward his cherished ruby. Edward was known for the black metal of his armor, the origin of his nickname the “Black Prince”. He had the ruby embedded in the middle of his cuirass. Against the black of the armor, the stone had never looked more beautiful. Edward then returned to England. In the end, King Peter was defeated and killed by his brother and rival. As for the “Black Prince”, he would never rule. 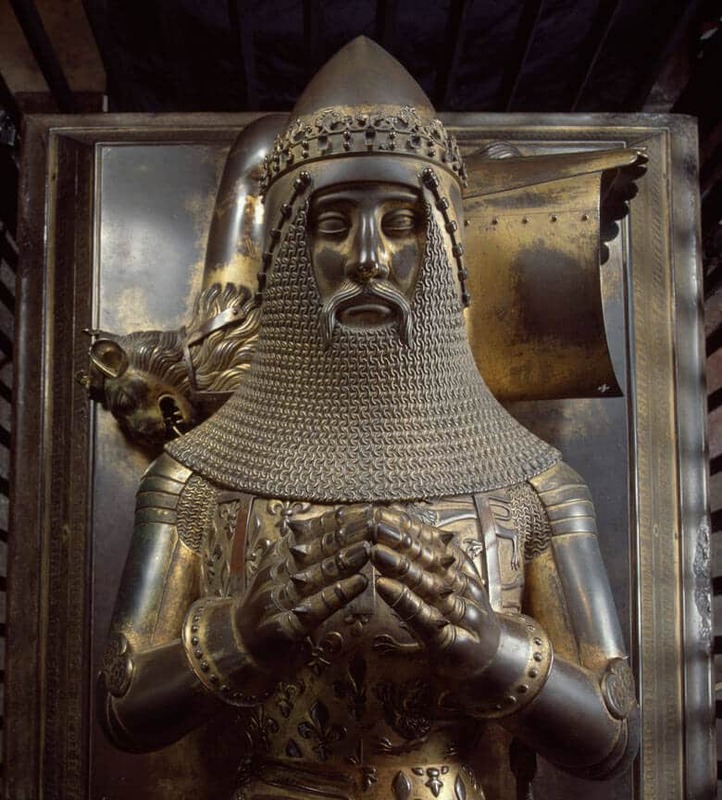 Son of a king, and himself father to the future King Richard II, the “Black Prince” died before his father. 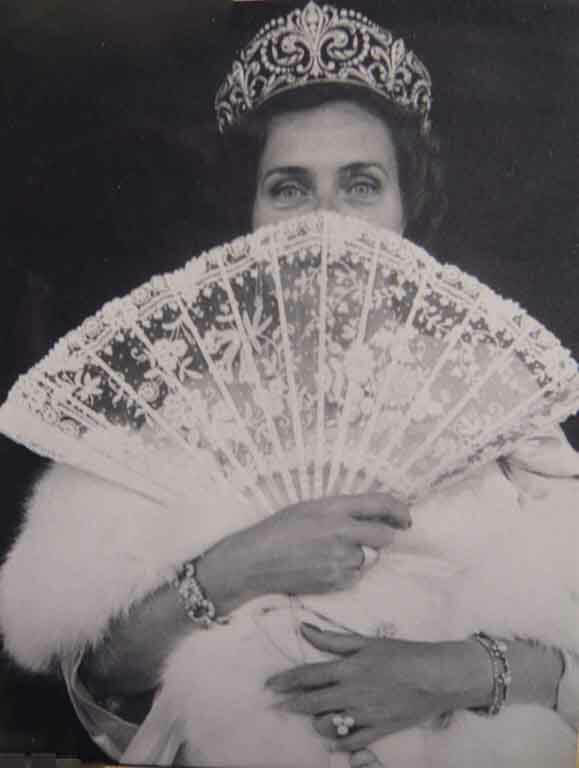 The ruby remained in the possession of the English Crown. It escaped the destruction and dispersion of the royal jewels by Cromwell. 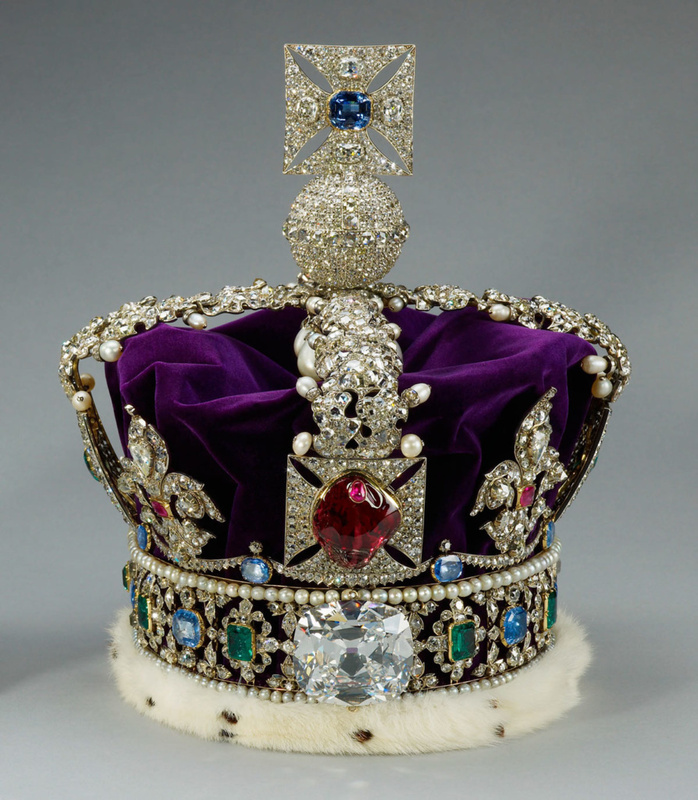 Queen Victoria had the stone set in the Imperial Crown. The Ruby of the Black Prince has remained there ever since. Each year, Queen Elizabeth wears the crown when she opens parliament. The only thing is, the Ruby of the Black Prince is not in fact a ruby. It is a spinel, a stone almost as beautiful as a ruby, and very similar in appearance, but of less value. The two were often mistaken for each other at the time. Quite interesting! How did you come about this? Thank you for the very interesting and informative story. I guess we should all run back from time to time to our “Little Arthur’s” history book so we can remember or learn history facts! And all this for a fake! ? Its value is that: first, it has served well as a motive for a fascinating story and 2) it seems to be a stone that befits the crown of ‘la perfide Albion’ — so true to its French nickname these days…. Jokes apart, I loved the story! Pls continue sharing your jewel-stories with us, P M, as those we know are not ‘fakes’ and hold true value! Kindest regards and enjoy the Summer! This is fascinating! A moral as well as historical tale, well told, of ego and greed. This is a fascinating story, and could make a wonderful historical novel. It’s blood-soaked origins and bad karma have not, thank God, caused the same evil luck on the last six sovereigns of my country.